The freshly annouced strategic alliance between the Gewandhausorchester and the Boston Symphony opens a new window of globalization in the arts. Historically, a long standing tradition unites the Gewandhausorchester and the Boston Symphony Orchestra. These mutual ties are now intensified with Andris Nelsons’ appointment as Gewandhauskapellmeister from the 2017/18 season. The history of close cultural connections between Leipzig and Boston began in 1881, when the Boston Symphony Orchestra’s (BSO) founder, Henry Lee Higginson, appointed Leipzig Conservatory-trained Georg Henschel as its first conductor. Subsequent conductors of the BSO, including Wilhelm Gericke, Emil Pauer, Max Fiedler, Karl Muck, and most importantly, Arthur Nikisch, were all educated in Leipzig and also held posts with the Gewandhausorchester (GWO). From the middle of the twentieth century, the connection was reinforced when Charles Münch became the Music Director of the BSO in 1949, remaining in the position until 1962. Münch was also educated in Leipzig and had been Concertmaster of the Gewandhausorchester from 1926 to 1933. 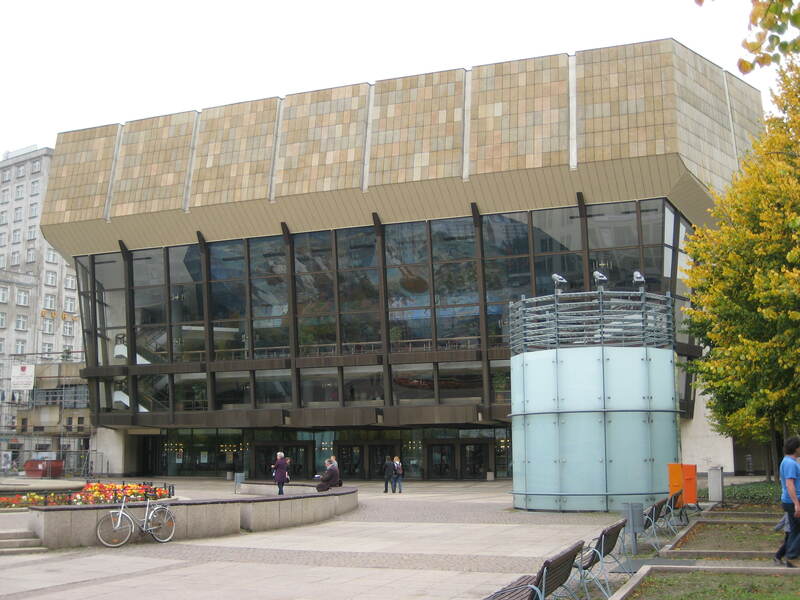 In addition, Boston’s Symphony Hall (1900) presents a structure inspired by the second Gewandhaus. Based on this historic bond, and under the leadership of Andris Nelsons, Mark Volpe, Managing Director of the Boston Symphony Orchestra, and Gewandhausdirektor Andreas Schulz are planning a unique multi-dimensional partnership to explore and share the heritage and strengths of both ensembles. The BSO/GWO Alliance, under the leadership of Andris Nelsons, will feature a series of co-commissions, with new works presented each year of the partnership, starting with a work by German composer Jörg Widmann to be presented in Boston and Leipzig in the 2017-18 concert season. Several European and American composers, representing a diversity of styles and generations, will also be commissioned for performance by both ensembles. The Alliance will also focus on some key educational initiatives including a program that will give Conducting Fellows of the Tanglewood Music Center (BSO’s acclaimed summer music academy at its summer home in western Massachusetts) an opportunity to assist Andris Nelsons with his work with the Gewandhausorchester. BSO musicians will also take part in the GWO’s music education programs. During the 2017-2018 subscription season, the BSO will celebrate “Leipzig Week in Boston” at Symphony Hall and the GWO will celebrate “Boston Week in Leipzig” at the Gewandhaus, giving each orchestra an opportunity to focus on some of the repertory for which their partner organization is best known. Since its founding in 1743, the GWO has been associated with some of the greatest figures of music history, having given the premiere of works by Beethoven, Schumann, Mendelssohn, and Brahms; this tradition continued into the 20th century with scores by such significant composers as Henze, Kanscheli, and Rihm, among others. The BSO’s own compositional legacy is, likewise, without parallel, including some of the seminal scores of the last century from composers ranging from Stravinsky, Prokofiev, and Bartok, to Messiaen, and Dutilleux and a myriad of Americans including, Copland, Bernstein, Sessions, Carter, and Harbison, among others. The BSO/GWO Alliance will provide an opportunity for each orchestra to program a selection of works by composers particularly associated with each of these great orchestras; this programming strand will also be highlighted in chamber music performances, lectures, panel discussions, and exhibits, with the goal of inspiring a new understanding of this great repertoire. One of the most exciting components of the Alliance will be a chance for the BSO to perform at the Gewandhaus in Leipzig and the GWO to perform at Symphony Hall in Boston, giving each orchestra’s audience a chance to appreciate this new partnership first hand. The BSO/GWO Alliance will also explore musician exchanges between the two orchestras. This segment of the cooperation will begin on May 5, 2016, when the Boston Symphony Orchestra will give its premiere guest performance in the Gewandhaus. 2001 to 2013 in Leipzig, and author of numerous acclaimed texts on the history of music from the 15th and 20th centuries, will serve as an artistic advisor to the BSO/GWO Alliance (please see bio below). Further details about the programs of the BSO/GWO Alliance will be announced at a later date.